When a young girl is kidnapped, street-smart but damaged San Francisco ex-cop California "Cal" Corwin is engaged to find and rescue her before murder raises the stakes. As a straightforward case takes unexpected twists, Cal must quell a growing fear that an anguished mother may never see her child again. With a shadowy crime lord lurking behind every unexpected clue, Cal struggles to tie up loose ends before evil claims its next victim. 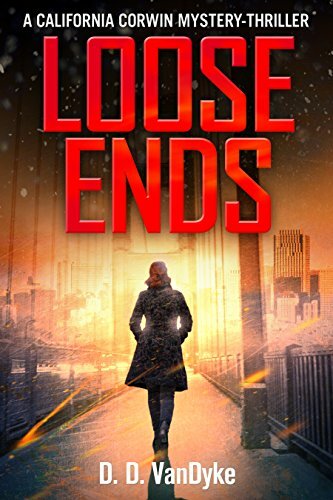 Loose Ends is the first book in the Cal Corwin P. I. mystery series from D. D. VanDyke. Set against the rich backdrop of the San Francisco Bay Area, Cal Corwin novels brim with intrigue and fully fleshed characters from cops and criminals to hit men, oddball family and unexpected allies.